If you would like more information, please call (408) 759-0591 or fill out the form below. PRICE and QUALITY Guarantee. I can assist with SolidWorks, Creo, GD&T, CAD modeling and drafting. I can help write/create SOPs, and OMSs to illustrate Manufacturing, Assembly & Test procedures. 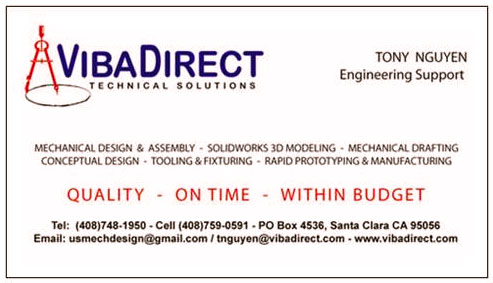 Although I understand that you are very busy, I’d be honored if you called (408) 759-0591 to discuss your technical needs.